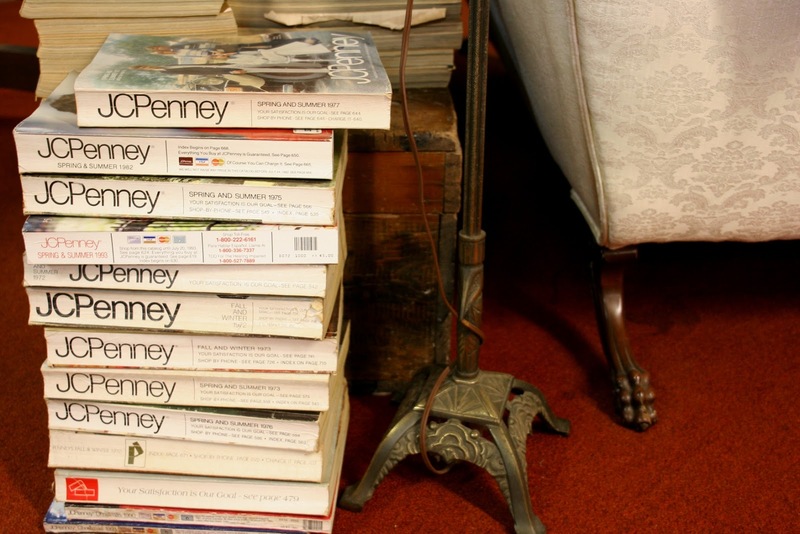 Before there was Amazon, there was JC Penney and Sears. At least in our house growing up, those were the big ones. Add in Brand Names and there was a lot of shopping that could be done from home. Granted, most of the shopping I did never actually was purchased, but I probably outfitted myself and my future home about one hundred times throughout my teens. The poor mailmen and mailwomen who had to deliver these behemoths of commerce. The catalogs were huge, at least 700-800 pages for your shopping delight. The Brand Names one was quite a bit smaller, but just as much fun to peruse as either the Sears or the Penney catalog. Let’s just say I was a well-dressed guy with the world’s greatest mancave when I was twelve years old. Well...at least in my own mind. Medina had a JC Penney store when I was growing up. That was the place that we got all our family photos taken. We did a little shopping there, too. I clearly remember that we had to go downstairs for the photo studio. I thought we were big time in Medina because we had two floors at our Penney store. Considering we had the Lockport Mall as our main means of shopping, the only places we say multi-story stores was in those fancy movies. 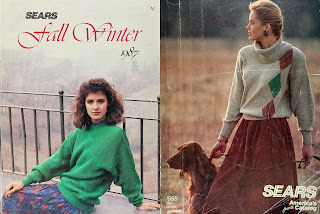 The Sears catalog was another big book of shopping delight. Plus, they had the Christmas Wish Book to pique the interest of all of those hoping for a bumper crop of gifts from Santa. The first Sears catalog was printed in 1888, and was a staple of American life until 1993, when the practice was discontinued. Sears was where we’d get all our school clothes. Mom would order them, put them on layaway, and then we’d have to wait until late August to pick them up. Then we’d take that trip down Transit Road to the bustling Eastern Hills Mall to get our order. The people at the layaway counter would give you a color-coded and initialed paper that would correspond with a shelf and bay where our package would be waiting for us. Half the time, I forgot what I wanted when we first ordered. And then we had to hope that we still liked it, or that we hadn’t grown out of that size in the intervening weeks. Mom was pretty good at estimating what size we would need to get through the school year. Besides, she could sew. If she ordered them a bit big, she could hem them as soon as we got home with them. Then she’d adjust that hem as we grew. That way, we’d have clothes for a majority of the year. Sears was fun, too, in the fact that they also had a second story. Unlike the Penney store in Medina that simply had a flight of stairs to get to the lower level, Sears had an escalator to get to the upper level. This was definitely the epitome of elegance in the area in the mind of a twelve year old. Although there was absolutely nothing for us kids upstairs, we’d beg to ride that escalator. Mostly it was for that ride. There was always a little curiosity as to what was up there, too. These big books were ever present in our house as I was growing up. Aside from the dreams of teenage shoppers, they also served as a means to ensure that the smaller children could see over the edge of the table. Just stack one of those catalogs, or a couple phone books, and it was better (and cheaper) than any booster seat. As a short kid, I was always afraid that when I started driving, I’d need a catalog to see over the steering wheel and a couple of wooden blocks clamped to the gas and brake pedals in order to be able to drive. 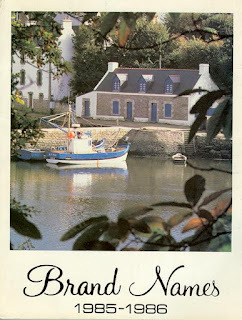 The other highlight of the catalog world in our house was the Brand Names catalog. While it was much, much smaller than the other two books, it had just as many treasures as the big boys. For some reason, there were two sets of prices in the catalog. There was a “Retail Price” and “Your Price.” I never quite understood that. I’m sure there is someone who can explain that to me. Maybe it was just a discount that the store offered in order to bring in customers. Brand Names was founded by George Hambleton, Jr., in the 1950s as a locally owned Western New York retailer. In 1996, the business was sold off to Richard Tamulski, who had a new vision for the company. Unfortunately, the new direction was not successful, and the business closed its doors at all its stores in 2001. The coolest thing for me about Brand Names was seeing all those full color photos of everything we wanted. We had a store in Lockport, so after you figured out what you wanted, you would go to the store and fill out an order form with one of those tiny, golf pencils. Once you filled out the form with the item number, you’d put the paper in a box. Once the staff got to your sheet, they would retrieve the item from the warehouse behind the counter and bring it to you. As far as I can remember, there was very little on display in the store. There were some display cases, almost like a jewelry store, but practically everything that was for sale was in vibrant color in their catalog. Similar items were next to each other, complete with descriptions. You could haggle with yourself over which was better fit your needs, wants, and wallets. With the advent of Amazon and other online shopping, the catalogs of our youth quickly disappeared. When we were clearing out my grandmother’s house, there were still Brand Names catalogs in the alcove in the stairwell. They were over a decade out of date, but they were always fun to browse through. 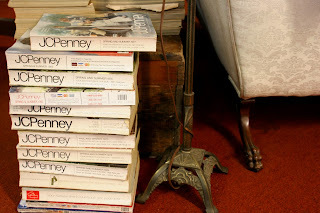 At my parent’s house, the magazine holders on the side of the end tables were stuffed with the huge Penney and Sears catalogs, and the Brand Names ones hopefully squeezed in beside them. 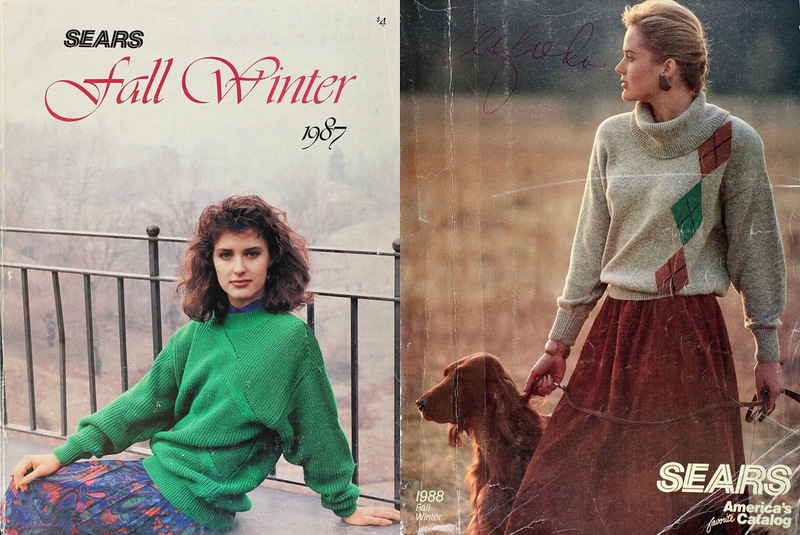 I’m sure there are still some of those catalogs floating around someone’s house. At that size, they don’t just disappear. How many of you remember these publications? 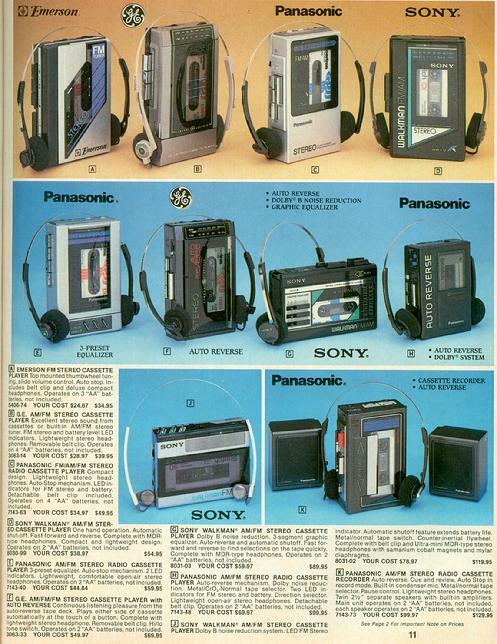 I think there were more stores that had catalogs, but these were the big three in my mind. Craig Bacon once wanted to buy a digital watch from Brand Names. Thankfully he was never able to. But he did get his towel. Don’t panic.